Another new Indian restaurant that offers up quality smalls plates which seems to be the trend now. When got the email about this place and learnt that it was from the team behind Jamavar I was like, I have to go!. This place is similar to other new Indian restaurants like Dishroom, Talli Joe, Cinnamon Bazar and my favourite Hankies Cafe, to name a few. The restaurant itself is split over 2 floors, the top floor is relaxed recreates an Indian Bombay train carriage from colonial back in the daytimes and the downstairs elements dining room more a fancy dining room on a train carriage, they have spent time and effort into the decor to better the ambience of the restaurant. 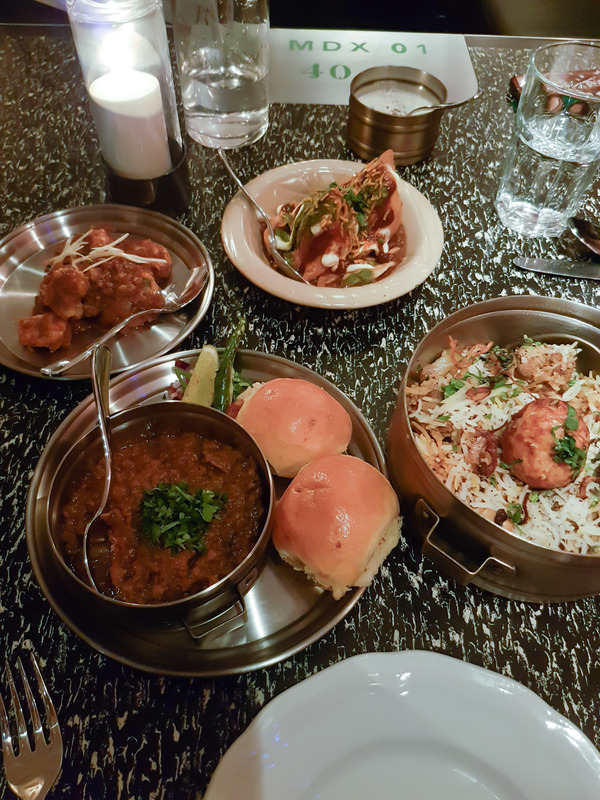 The menu is split into small plates, tandoor and curries with a lot of choice in each area and a range of dishes to choose from. I kept it simple and went for a modest 5 dishes. A Vegetable Samosa which was topped with Wheat Crisp, Sev, Mint Chutney, tamarind sauce and yoghurt. 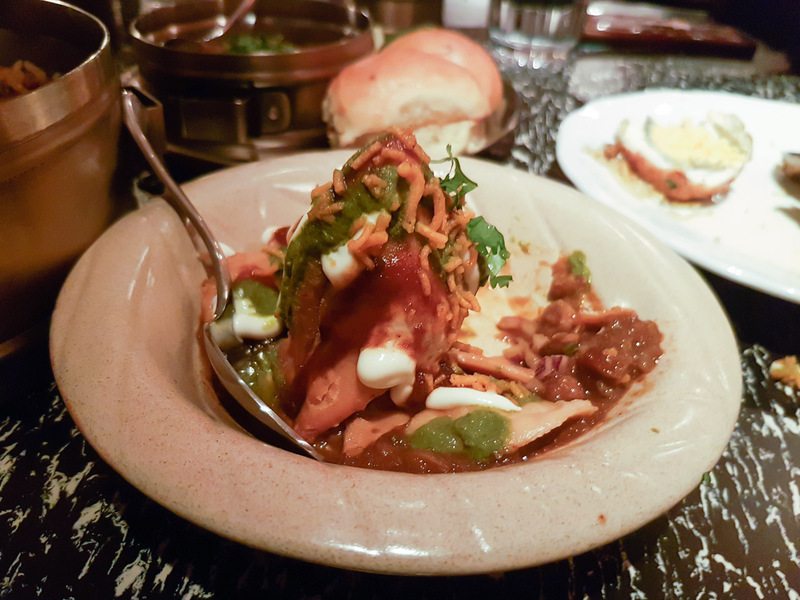 I liked this chaat, a tasty samosa and the flavours of the tamarind were balanced. Soft tender prawns cooked with Garlic, Curry Leaves and Fresh Turmeric. A simple dish but a good one, the flavours were not overpowering but I felt that the presentation could have been better. 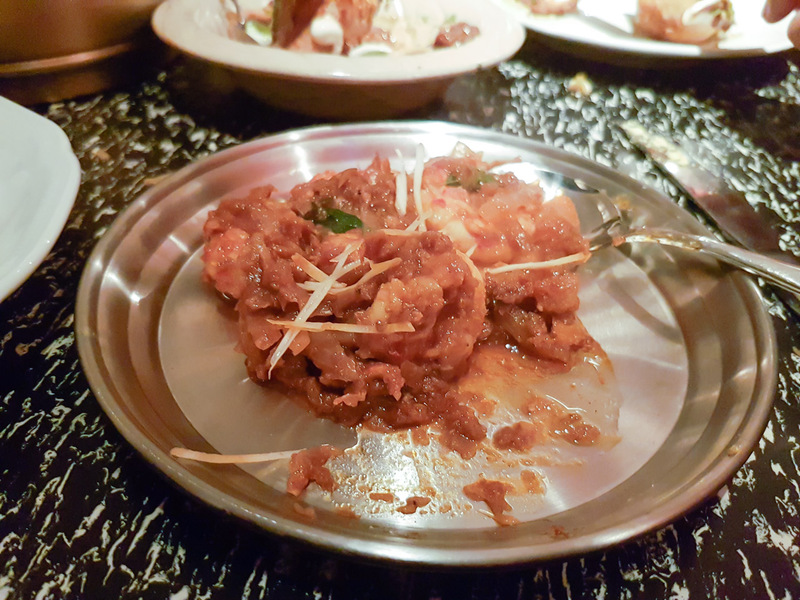 One of my favourite dishes ever is the stonebass tikka from Jamavar, so I had high expectations from this dish. 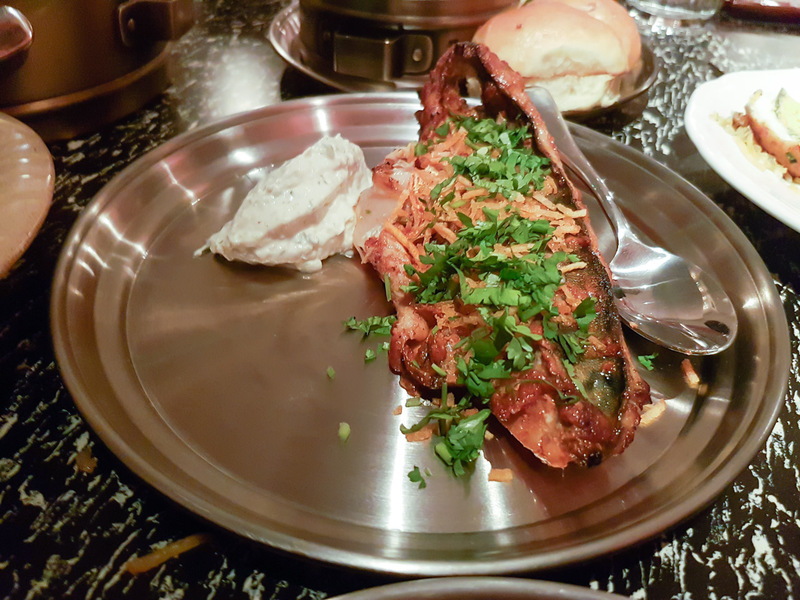 This dish had a strong fish taste and smell because it used mackerel, which to be honest I am not a fan of, a little too strong for my liking, the Goan spices felt a little raw and although the fish was cooked well, I was not keen on the overall taste. The accompanying garnish felt like they were just thrown on without any thought. 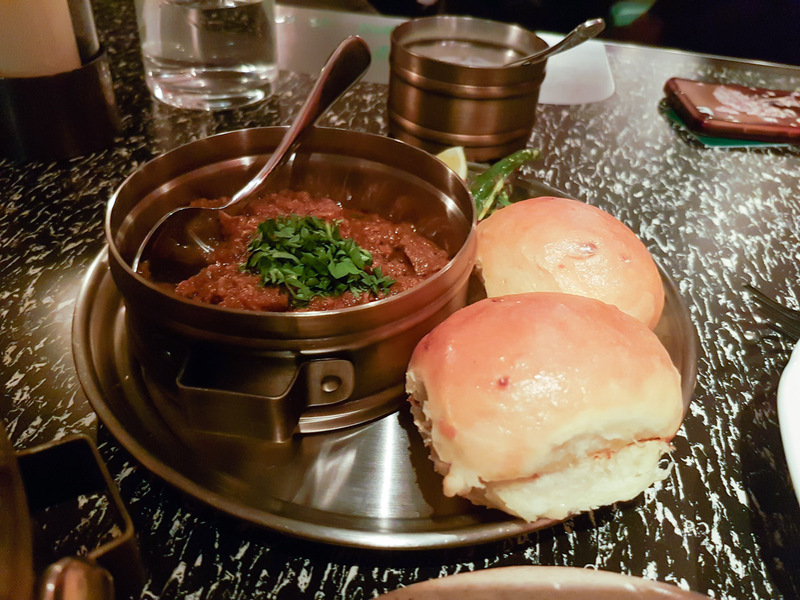 A classic Indian street food dish, mince goats meat used here, cooked in spices and served on a Pao, which is like a mini bun. I was pleased with the portion amount but felt that the dish lacked enough depth in flavour. 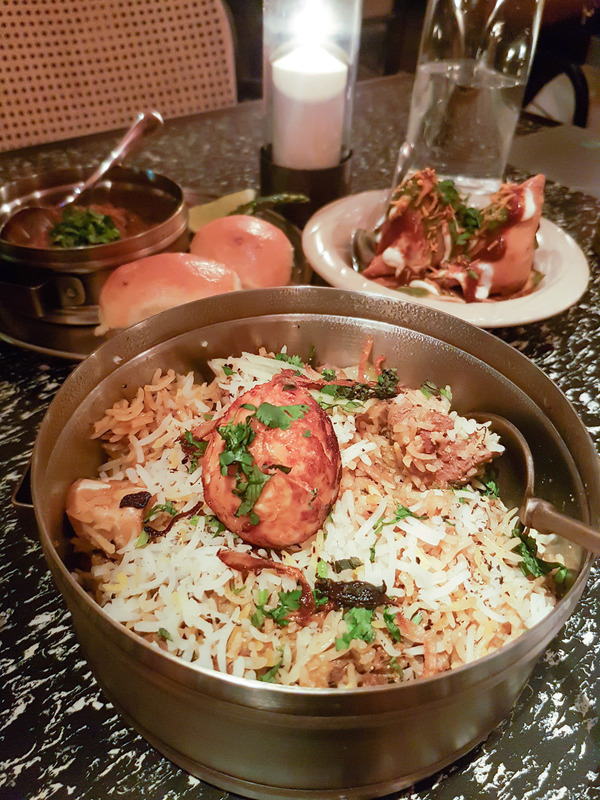 The disappoint of the night was this OVERPRICED and average lamb Biryani. At this price was expecting a dish to blow my socks off, but all I got was the underwhelming sense of dissatisfaction. It just did not justify the price, the spices and aromatics were mild and the lamb tender, but not enough texture or flavour for me. I regretted ordering this and afterwards thought if I wanted a £18 Biryani I should’ve gone to Dum Biryani in Soho that specializes in this dish and does it well. 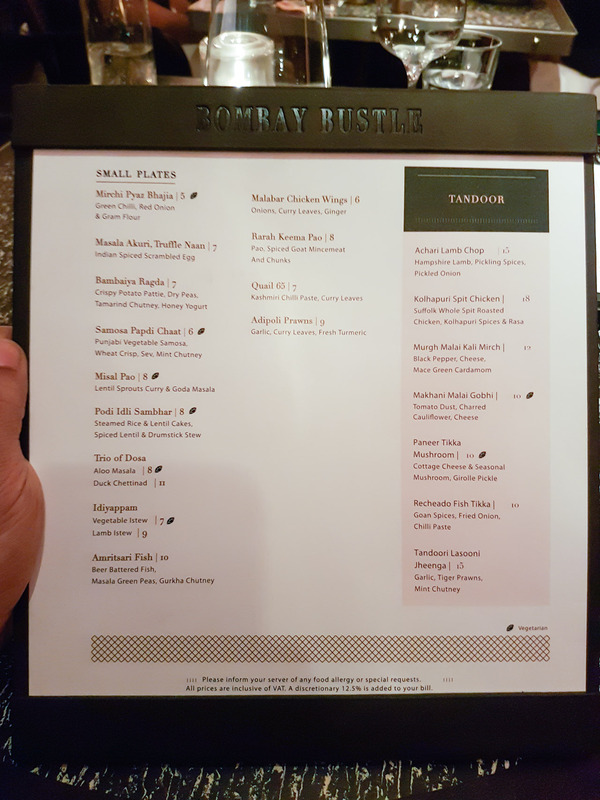 Overall, Bombay Bustle is a welcomed addition to the halal food scene, it’s ideal for a catch up with a friend or in a medium size group where you can share plates. The service was good, but a little slow and inattentive at times. Would I return? Yes, but in a group of at least 4 so I could share plates and try other dishes. The total was £57, inc service, no drinks, 5 dishes, 2 people. Most meats are halal, but please check when you order. 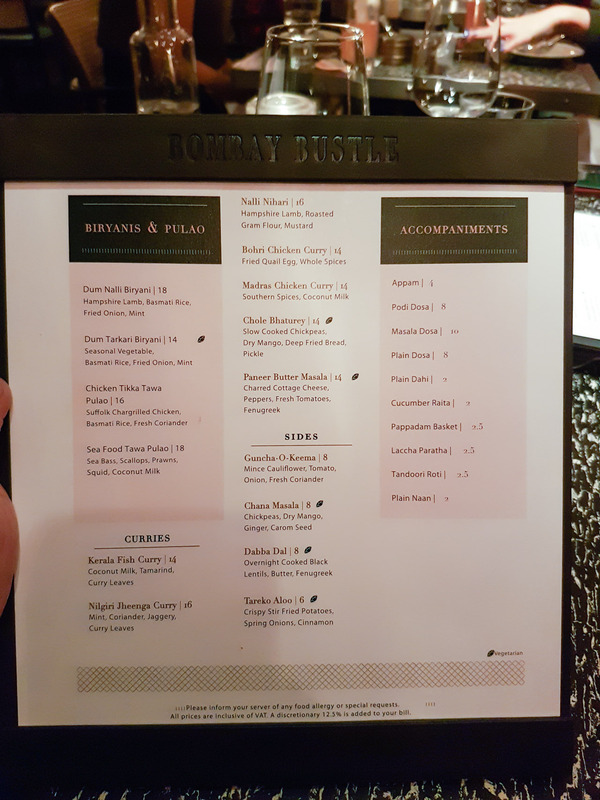 Hey Buddy!, I found this information for you: "Bombay Bustle". Here is the website link: http://halalfoodguy.co.uk/bombay-bustle/. Thank you.